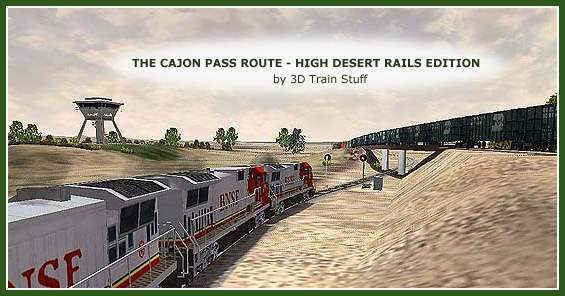 Thank you for choosing THE CAJON PASS ROUTE - HIGH DESERT RAILS EDITION, we have now made ordering easier than ever. Just take a moment to fill out the form below, make sure that all of your information is correct, and that all of the fields are entered before clicking the submit button. All Contents © 2000-2016 3D Train Stuff All Rights Reserved.